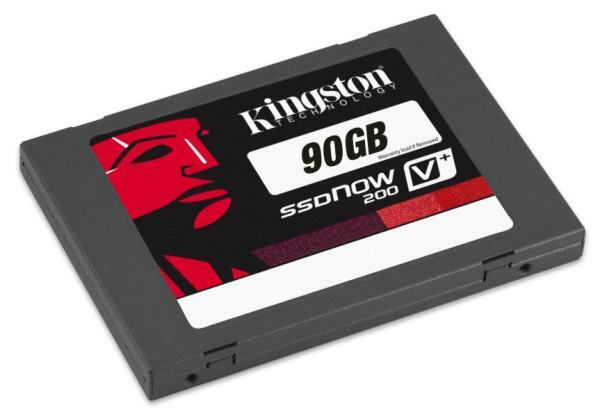 Fountain Valley, CA — January 19, 2012 – Kingston Digital, Inc., the Flash memory affiliate of Kingston Technology Company Inc., the independent world leader in memory products, today announced the latest addition to its SSDNow family, the SSDNow V+200. 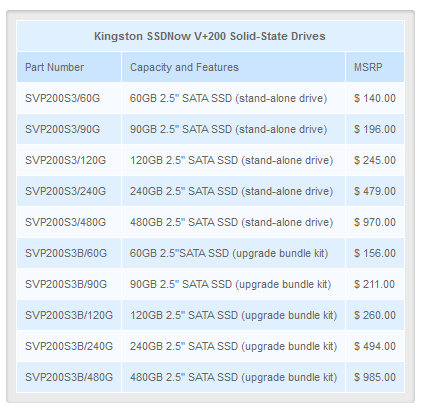 The new Kingston® SSDNow V+200 solid-state drives are the ideal high-performance upgrade solution for the performance minded yet cost-conscious business or home user. A video of the new SSDNow V+200 can be found here. (1) Some of the listed capacity is used for formatting and other functions and thus is not available for data storage. For more information, please consult Kingston’s Flash Memory Guide at Kingston.com/Flash_Memory_Guide. (2) Based on “out-of-box performance” with IOMeter 2008. Speed may vary due to host hardware, software, and usage. Nächste Pressemitteilung Neues COUGAR Evolution BO Gaming Gehäuse ab sofort verfügbar!